The travel, tourism and hospitality industry is very dynamic and growing on a global level. It's time to discover your path. Getting the right career path in life is always an inspiring goal we all try to achieve. We expect our contribution of the personal statement provide you inspiration. Here are reasons you should consider to join travel, tourism and hospitality industry. Fastest Growing Industry: Travel industry has maintained to advance its growth run over the past numerous years. Attracting travellers around the world across sections like business, medical, leisure etc. India has already set its benchmark in the global travel market. There can be no denial in stating that Indian tourism and hospitality is key to the growth of the service sector in India. Clearly, tourism is one of the most exciting industries to be in, both as a corporate and as an aspiring entrepreneur. The tourism business will proceed to extend and achieve excellent development rates during the following decade. Certainly, tourism is a standout amongst the most exciting markets to an organisation. Ease of Access: There are plenty of ways to get involved in this industry even if you have no to little experience. It is not necessary to have a higher level degree to be able to join this sector. If you have that spark and passion in you whether it is learning about industry or climbing ladder in work successfully the choices are almost endless. Whether you like sitting in an office, travelling around the globe or serving outdoors there is something for everyone. Career Opportunity: The tourism industry is service based and really wide, it depend constantly on human resources. So there are ample amount of opportunities for the kind of role you are looking for. From operational to the management level you will find various opportunities and career growth. 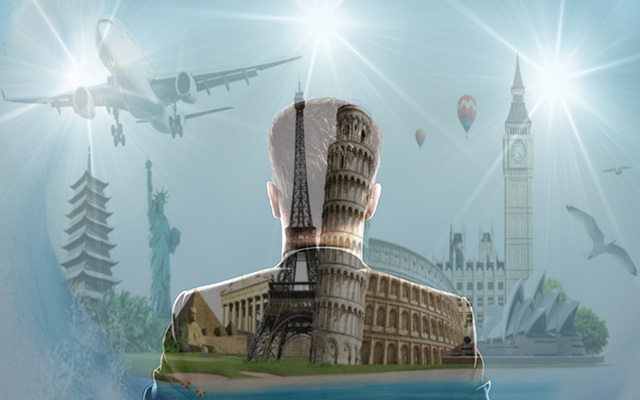 Job scope in the tourism industry are Airlines, Art & Culture, Hotels & Food, Ecotourism, Assisting services, Conferences. Those having higher degree and certificates are likely to move up in ranks of the company and perhaps even help in raise your income. It is better to consider and analyse your skill set before in order to get your foot in the right door. Travelling: Depending on the task you choose, one of the main perks of being in this industry is you are getting paid to travel. Even if you are not immediately connected with travelling in your organisation you will be getting some remarkable great travel discount. Also, you’ll find that there is a lot to learn and find out about when serving in the travel and tourism industry. Travel Industry Is Innovative: The 21st-century customer is entirely different from past eras. We understand technology and we not only require service quality, but we also want an action to go with it. This ensures that new productive plans and services are continually being improved to keep up with tourist’s requirements in order to stay ahead of the competition. Transferable Skills: Transferable skills are experiences and skills that are applicable and relevant in different areas of your life. These are also known as portable skills. If you are changing career it helps in proving your potential using transferable skills which include - soft skills, problem-solving, time management, sincerity, energy and having a good work attitude. Entrepreneurship: Everybody gets a kick out of the chance to work for themselves and if you love assisting others to have great encounters now it's a great opportunity to begin your own business. But before beginning your own enterprise gain considerable experience in this field and industry. Despite not everyone has what it takes to start a company but if you are willing to you can take advantage of entrepreneurship training courses which will develop your skills in preparing a business plan, decision making, effective strategies, theoretical and practical understanding of tools to enhance your organisation/business. If you want to take the above advantages, it is recommended that you must scrutinize the internet facility to contact the marvellous travel and tourism institute that offers astonishing education along with practical knowledge at an affordable price.